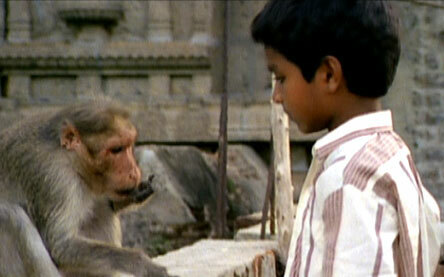 Monkeys are welcome, even sacred, in many Asian countries. In some cases, they made their homes in temples where humans provided their food. But over the years, as small villages grew into large cities, monkeys lost their forest homes and turned to begging for their food -- or, in some cases, stealing. Scientists have a name for animals like this: "commensals," which means "those who share the table." Squirrels, like this determined aerialist, are survivors: they've been living in North America for more than 37 million years. 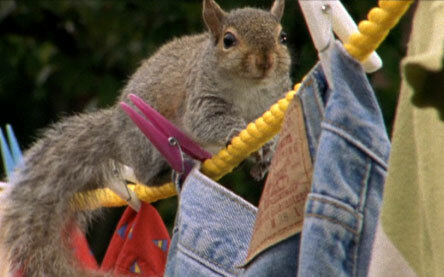 To prepare for the long winter, squirrels bury nuts and seeds in hundreds of locations in a method called "scatter hoarding." No squirrel ever eats everything she hides, so many of those seeds grow up to be forests; in fact, squirrels have planted many more trees than humans have. 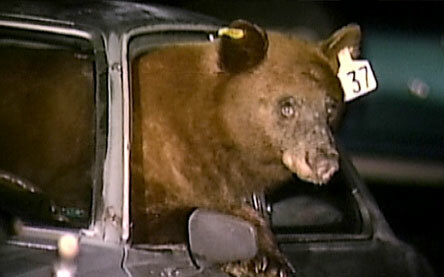 Black bears have fantastic sense of smell, high intelligence, the strength to rip metal to shreds, and a desire to score an easy meal whenever possible -- a potentially explosive combination whenever humans are near. 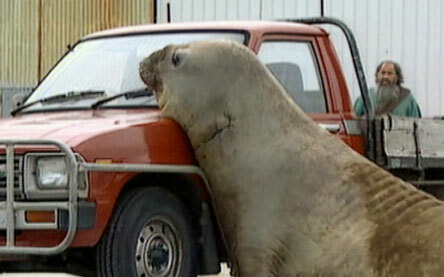 Leave a candy bar inside a car, and what have you got? The world's largest vending machine. 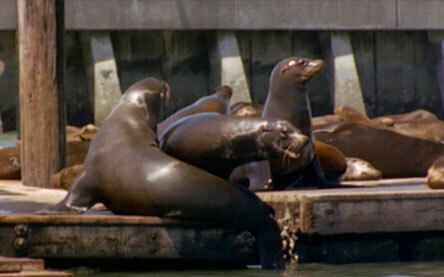 Sea lions first began congregating on K dock of San Francisco's Pier 39 in the fall of 1989. During warm days, it may look as if they're waving at the crowd, but they're actually lifting and fanning their flippers to stay cool in a process called thermoregulation. 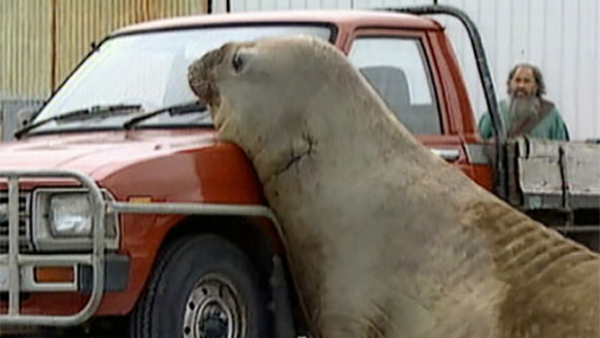 Male elephant seals have truly memorable battles over females, butting their massive chests against one another -- or, if no competing seals are nearby, the nearest equivalent. The ravens of Yellowstone are year-round inhabitants. 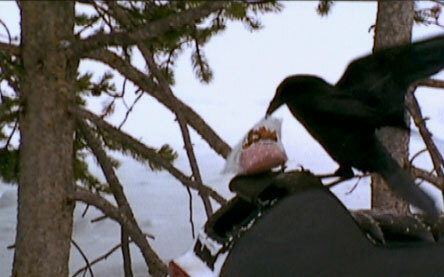 They enjoy a varied diet of seasonal berries, small animals, carrion, and whatever they can steal from humans, from garbage to a carefully packed, Velcro-protected snowmobiler's lunch. Ravens are aggressive enough to defend their meals from other birds, even those as large as eagles. Martens, which are members of the mustelid family -- as are weasels, otters, and ferrets -- share something in common with their cousins: strong scent glands. 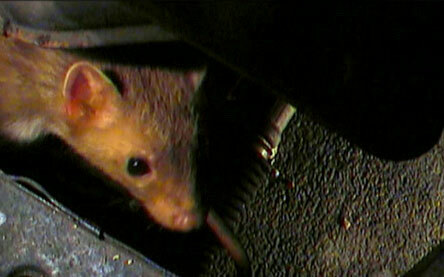 It's those stink-makers that cause car trouble: when a marten finds a snug engine to call home, he deposits his smell to mark it as his territory -- and when the original "owner" comes home, he's enraged to find that someone's been on his turf. 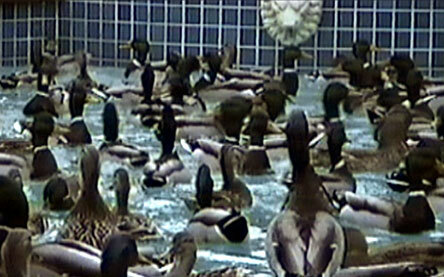 The fowl that made this Southern California swimming pool their home were mallards, the most common duck in the world: more than 10 million mallards live in North America alone. Hardy and adaptable, mallards can make their homes in any kind of water, even the chlorinated kind. And as the Simons family can tell you, they have found a good deal of success in begging for food from humans. 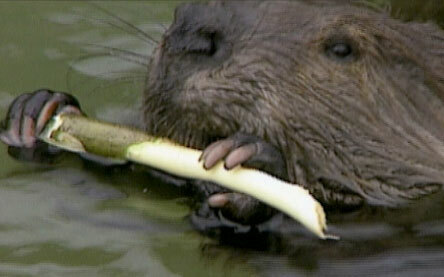 The beaver, which builds intricate dams capable of altering entire ecosystems, is one of the few animals besides humans to have a noticeable impact on its environment. And like people, beavers are always in the midst of home-improvement projects: the sound of running water rushing through their dams might be a soothing one for us, but it galvanizes these rodents into making near-constant repairs. Bred for centuries to exercise their instinctual need to herd, border collies have been carefully developed into efficient drivers of livestock like sheep and cows -- so why not Canada geese? 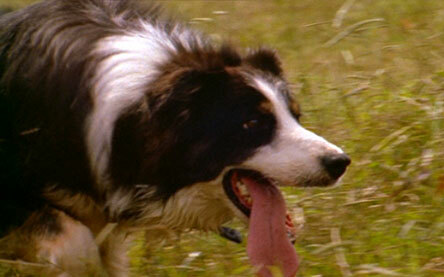 The collie's movements mimic those of the goose's natural predator, the Arctic fox. They may look like bees, but yellowjackets are actually wasps. Home is a paper nest that they create by chewing wood fiber into a pulpy paste. 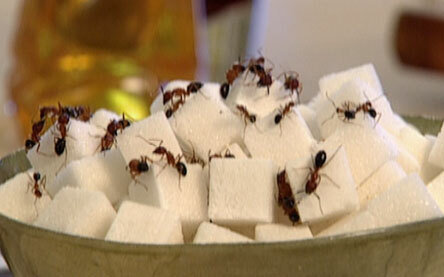 But wood isn't their preferred meal; the yellowjacket is famous for its sweet tooth. Yellowjackets are a particular menace in the summer, when their colonies are at their largest and most aggressive, preying on the picnics we insist on having out in their territory.